100+ Wordpress Video Tutorials, from Basic to Advanced - All of these tutorials range from basic learning for the beginner, to advanced for the expert who wants to learn new techniques. Absolute vs Relative URLs - A discussion on Stack Overflow. Accessible Web Design - Tests and best practices for making your website accessible to everyone regardless of disability. Advanced HTML - Find information on all sorts of website building topics and other issues related to creating and maintaining your web site. antville - An open source project aimed to the development of an easy to maintain and use weblog-hosting system. AtomEnabled - Atom is a universal personal content publishing standard created by leading service providers, tool vendors and independent developers. Automated Content Access Protocol (ACAP) - ACAP is set to become the universal permissions protocol on the Internet, a totally open, non-proprietary standard through which content owners can communicate permissions for access and use to online intermediaries. Background Labs - Free backgrounds and patterns. Basic Web Page Layout and Design - Tutorial providing information on the basic elements of Web page design and layout. Best Practices for Speeding Up Your Web Site - Yahoo! develpers provde 35 best practices divided into 7 categories. Beyond Bookmarks: Schemes for Organizing the Web - A clearinghouse of World Wide Web sites that have applied or adopted standard classification schemes or controlled vocabularies to organize or provide enhanced access to Internet resources. BigBlogTool - Tool made for publishing and updating your website. blo.gs - A directory of recently updated weblogs and tools for tracking interesting weblogs. Blog Theme Builder - This tool makes the process of building a customized theme for your blog significantly easier. Blog Tips for a Better Blog - Tips and strategies to help you become someone who works effectively to get all to attract traffic, advertisers, customers and clients consistently. BlogBib - An annotated bibliography on weblogs and blogging. Blogger - Push-button publishing for the people. Blogrolling - Link manager for weblogs. BlogShares - A fantasy stock market for weblogs. Players get to invest a fictional $500, and blogs are valued by inbound links. BlogStreet - Blog neighborhood, top blogs, blog search, RSS discovery and utilities. blogtracker - Lets you see when your favorite weblogs have been updated last, so you can read the freshest blog entries. BrainJar - Technical articles, tutorials and examples of programming for the web. Browser Screenshots - See how your site renders across a selection of common browsers and devices. Builder - Features and tips on web design and page building from C|NET. CSS Collection - Links to layouts, reference, tips, and tutorials. CSS Layout: Horizontal Align - In CSS, several properties can be used to align elements horizontally. CSS Media Queries - Allow you to target CSS rules based on - for instance - screen size, device-orientation or display-density. This means you can use CSS Media Queries to tweak a CSS for an iPad, printer or create a responsive site. CSS Structure and Rules - The structure and rules of Cascading Style Sheets, including an introduction to the various kinds of selectors, pseudo-classes, pseudo-elements, and cascading order. CSS Tricks - A site about all things web design and development, including CSS. Font-Size - The font-size property specifies the size, or height, of the font. font-size affects not only the font to which it is applied, but is also used to compute the value of em, rem, and ex length units. Normalize.css - Makes browsers render all elements more consistently and in line with modern standards. It precisely targets only the styles that need normalizing. Source code available on GitHub. Cascading Style Sheets - Web Design Group's guide to Cascading Style Sheets. Centering a Page - Centering a page with CSS is very easy. Simply wrap the entire content of the page in a <div>, give the <div> a unique ID, such as wrapper, and create a CSS style. David Powers explains. CGI Scripts - All authors have given permission to redistribute their script(s) or their copyright allows redistribution with copyright headers intact. C|NET Web Builder - Website development resources. Databases and the Web: Dynamic Web Pages - About.com resources page. If you want to create dynamic pages, with changing content and features, then you need to hook your Web site up to a database backend. Databases give Web sites flexibility and the ability to create more dynamic and personalized sites. Data driven Web pages work directly with the customers. Developer - Leading resource for information technology professionals. Difference Between Underscores and Dashes - Here's a little on-site SEO tidbit a lot of people probably don't know. As Matt Cutts says in this video, probably most important for a new "fresh" site trying to get ranked. Google was set up to see dashes between words as separate words, but underscores between words as joining those words together. So Google sees matt-cutts as "matt cutts," but matt_cutts as "mattcutts." Where does that make a difference? Well in your URLs for one thing. diary-x - Software and hosting for online journals. Diaryland - Software and hosting for your online diary. Digital Web Magazine - An online magazine intended for professional web designers, web developers and information architects. DigitalWeb Magazine - Web designer's magazine. Document Structure Description (DSD) - An XML schema language. DSD provides an alternative to DTD, XML Schema, and other XML schema languages. DSD project is being pursued at AT&T Labs Research and at BRICS, University of Aarhus. Does It Work on Edge - Does your website render correctly on Microsoft Edge? Find out with a full page screenshot and code analysis of your page. Dreamweaver Development Center - Official Adobe site. Drupal - Use Drupal to build everything from personal blogs to enterprise applications. Drupal is free, flexible, robust and constantly being improved by hundreds of thousands of passionate people from all over the world.KWS NOTE: The Chief Administrative Officer (CAO) of the United States House of Representatives has established a flexible Drupal hosting platform as the preferred web hosting environment for the House. Members, Committees, Leadership, Officers and Officials (the CAO's customers) each manage and control a public web site. These customers have the independent authority to select the web vendor of their choice provided that vendor meets specific House requirements. In total, there are nearly 520 unique House web sites within House.gov. EM Design - Eric Malone's site: information architect, web application designer, photographer. Firm List, The - A guide to web design firms from around the world with over 15,000 listings in 170 countries. GRSites - Customized buttons, logos, menus, textures and text boxes. GRSites offers easy to use online tools to create professional looking designs for your web site. Happy Cog - Web design, consulting and publishing. How to Start a Blog - A step-by-step guide. How to Start a Blog Step-By-Step Guide - Starting a blog in 7 steps. How to use rel="nofollow" for specific links - "Nofollow" provides a way for webmasters to tell search engines "Don't follow links on this page" or "Don't follow this specific link." HTML5 Boilerplate - Helps you build fast, robust, and adaptable web apps or sites. Kick-start your project with the combined knowledge and effort of 100s of developers, all in one little package. HTML5 Migration - From W3Schools. HTML Coded Character Set - This list details the code positions and characters of the HTML document character set, specified in section SGML Declaration for HTML. This coded character set is based on ISO-8859-1. HTML Primer - Tutorials to help you learn the various aspects of HTML (Hyper text Markup Language). HTML vs XHTML - Brief overview of XHTML, EXtensible HyperText Markup Language. HTML Writers' Guild Web Site (HWG) - World's largest international organization of Web authors with over 103,000 members in more than 150 nations worldwide. Assists member web authors; compiles and publicizes information about standards, practices, techniques, competency, and ethics as applied to web authoring; contributes to the development of web technical standards and guidelines. HTTP Error 403 Forbidden - Discussion of this error, in which the Web server (running the Web site) thinks that the HTTP data stream sent by the client (e.g. your Web browser or our CheckUpDown robot) was correct, but access to the resource identified by the URL is forbidden for some reason. Human Factors Internatinal (HFI) - Software and web design client-centered usability solutions. IDWork - A social web application for bookmarking and sharing users favorite design related images and videos from any website. InfoDesign - Provides information designers with up-to-date information and communication facilities on aspects of the growing field of Information Design. Its main objective is to collect, structure and disclose relevant resources. Install WordPress on WLMP (Windows, Lighttpd, MySQL and PHP) - A tutorial. Internet and Web Design Companies - Maintained by Tile.Net. Introduction to Cascading Style Sheets (CSS) - This guide walks you step-by-step through learning and using CSS. Links in HTML Documents - Tutorial. LiveJournal - A free service that allows you to create and customize your very own "live journal ": a journal that you keep online. Manila - An Internet server application that allows groups of writers, designers and graphics people to manage full-featured, high performance Web sites through an easy-to-use browser interface. META Tag Analyzer - Free on-line META Tag Analyzer. META Tag Builder - Generate HTML META tags and increase your website's search engine placement. META Tag Generator - Download the META Tag Generator to automatically generate meta tags used by search engines to index your pages. META Tag Guide - META tag guide and optimization tips. A Tale of Two Viewports: Part One - This page is about desktop browsers, and its sole purpose is to set the stage for a similar discussion of the mobile browsers. A Tale of Two Viewports: Part Two - Ports the concepts discussed in Part One to mobile and highlights some important differences with the desktop. Media Queries for Standard Devices - Media queries that can be used to target designs for many standard and popular devices. Mobile - Resources recommended by Google. Mobile SEO - Discusses steps to make your site mobile and improve your mobile SEO from the perspective of Google documentation. Mobile Web Development - By Peter-Paul Koch, a mobile platform strategist, browser researcher, consultant, and trainer in Amsterdam. Using Media Queries - A media query consists of a media type and at least one expression that limits the style sheets' scope by using media features, such as width, height, and color. Media queries, added in CSS3, let the presentation of content be tailored to a specific range of output devices without having to change the content itself. Mosquito Factory - Working to create a new Web standard for forms allowing people to author documents in new markup languages and then having them transformed into a Mozquito File that existing browsers can process. Moveable Type - A decentralized, web-based personal publishing system designed to ease maintenance of regularly updated news or journal sites, like weblogs. Neil's Weblog Templates - Templates you can use on your own Movable Type, Blogger or Wordpress blog. OnBlastBlog - Step by step tutorials for creating a blog presented by Matt Banner. See Making the Perfect Website: Web Design & Styling Guide. Onclave - Collaborative weblogging service. Open Source Web Design (OSWD) - A collection of web designs submitted by the community that anyone can download free of charge. Pair Colors Like a Pro in Your Next Project: Tips and Examples - A color pairing guide for better website design. Pitas - Free blogging service. 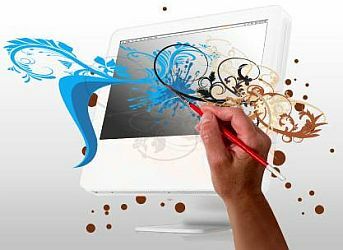 Preparing Graphics for the Web - Provides Web page designers advice on the best way to present graphical images. Many references are made to Photoshop, however the methods described here apply to most other bitmap paint programs, as well. Radical Designs - Radical Designs is a full service web development group focused on the needs of non-profit and grass roots social change organizations. We provide strategic on-line campaign consulting, web design and web application development. Its premier product is the Activist Content Management. Reloading the Page - The trick to reloading the page is to force the browser to not look into the cache, but rather to again make a connection to the Web and bring up the document from the server. This page provides several choices of code to achieve this result. Resolving HTML5 Dublin Core Microdata Validation Issues - If you've already got Dublin Core on your website, you'll hit an error when trying to validate your page and if you're running any online SEO checking tools they'll all feedback that your code is invalid. Why? How to fix it? Resources on Accessible Web Design - Listed resources that may be helpful in creating pages that are accessible to everyone, including those who have disabilities. HTML5 Up! - Responsive HTML5 site temmplates. Pixelarity - Responsive site templates for whatever you're building. Responsive Layouts - From Google. Learn the fundamentals to get your site working on mobile, desktop or anything else with a screen. RichInStyle - Provides help on key areas of web style - areas such as styling of links, effects with margins (such as hanging indents), fonts and line heights, and, most importantly, how to ensure that your styles work perfectly on every browser. Exhaustive bug pages, which detail nearly 1000 bugs, all organized into easy-to-read sections, as well as to its bug table, which provides at-a-glance access to information. RSS Discovery - Find and read the RSS feed of a blog. RSS Discovery finds out the RSS feed of a blog, the time when it last changed and displays the latest feed in HTML. It uses the blog URL as input. SitePoint - New articles and fresh thinking for web developers and designers. Six Apart - Six Apart Ltd., based in San Francisco, CA, is the company behind the Movable Type personal publishing system and the TypePad personal publishing service. Smashing Magazine - Online magazine for professional Web designers and developers, with a focus on techniques, best practices and valuable resources: coding, design, graphics. Stack Overflow - A community of 4.7 million programmers, asking and answering coding questions. Submit Corner: META Tag Guide and Optimization Tips - Comprehensive META tag guide which disects the top used tags and how to effectively use them. SVG Zone - Scalable Vector Graphics (SVG) is a new graphics file format and Web development language based on XML. SVG enables Web developers and designers to create dynamically generated, high-quality graphics from real-time data with precise structural and visual control. Technorati - A set of web services that track interconnecting links between blogs, allow people to find out who is linking to a blog or a URL, ranked by authority and link freshness. Technorati also provides Google ranking and Google Juice calculations for users. ThemeDreamer - Create WordPress Themes in Dreamweaver. ThemeDreamer is a new Dreamweaver extension that makes WordPress theme creation in Dreamweaver very simple. You don't need a server, you don't even need WordPress installed! ThemeDreamer assembles the different WordPress pages into a WYSIWYG version of your blog that you can edit with live blog data in Dreamweaver's design view panel. Also see JustDreamweaver article. Transitioning from Proprietary DOMs and Markup to W3C Standards: Enhancing Pages That Use LAYER, document.layers, and document.all to Support Standards - This page summarizes how to enhance pages that use these proprietary features so that they are fully W3C-compliant and will display on all compliant browsers (such as Netscape 6, Mozilla, Customzilla, etc.) and devices (such as consumer browsing appliances that embed the Gecko layout engine). Ultimate HTML 5 Cheat Sheet - Includes all the tags listed in alphabetical order. U.S. Web Design Standards - Open source UI components and visual style guide to create consistency and beautiful user experiences across U.S. federal government websites. Also see Getting Started page. Usability.gov - The Research-Based Web Design and Usability Guidelines, compiled through an extensive process of research and review, bring you best practices for use in your Web design or redesign projects. Usable Web - Over 1400 links to information about architecture, human factors, user interface issues, and usable design specific to the World Wide Web. Use Canonical URLs - This Google article describes how you can use canonical URLs to improve link and ranking signals for content available through multiple URL structures or via syndication. Use rel="nofollow" for specific links - "Nofollow" provides a way for webmasters to tell search engines "Don't follow links on this page" or "Don't follow this specific link." useit - Jakob Nielsen's bi-weekly column on Web usability. Using Web Standards in Your Web Pages - This article provides an overview of the process for upgrading the content of your web pages to conform to the W3 Web standards. W3C - Develops web standards for the WWW. See All Standards and Drafts page. W3C CSS Validation Service - Check Cascading Style Sheets (CSS) and (X)HTML documents with style sheets. W3C HTML 4.0 Specifications - Defines HyperText Markup Language (HTML) version 4.0. W3C Press release Archive - W3C news and developments press release archive. W3Schools - Web building tutorials. Web Design Group (WDG) - Promotes the creation of non-browser specific, non-resolution specific sites accessible to all users worldwide. Also see HTML Help by the WDG. Web Design References - Resources maintained by University of Minnesota, Duluth Information and Technology Systems and Services. Web Designer Depot - Tips, and techniques for web designers and developers. 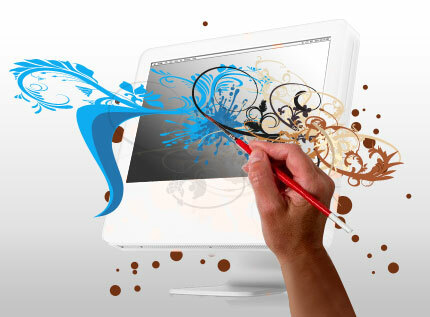 Web Page Design - Dedicated to the graphic design and creative aspects of web sites. Web Site Machine - Database of over 600 well-designed design-related sites. Web Standards Project - A grassroots coalition fighting for standards that ensure simple, affordable access to web technologies for all. Web Style Guide - Houses an unabridged, online version of the third edition of Web Style Guide: Basic Design Principles for Creating Web Sites, by Patrick J. Lynch and Sarah Horton. Webdesigner Depot - Explore web and graphic design techniques, examples and best practices. Weblogger - Content managing hosting. Weblogs - Directory of recently changed weblogs. WebsiteSetup - Learn how to build and set up your own website. This site contains different tutorials on how to build a website using WordPress, Joomla, Drupal and HTML5. Provided by Robert Mening. Why Ems? - Recommends sizing text using em over px in designing your website. Wireless Blogging - The integration of wireless with weblogs. World Wide Web Consortium (W3C) - Developing common protocols that promote evolution of the World Wide Web and its interoperability. WordPress - A personal publishing platform with a focus on aesthetics, web standards, and usability. Also see WordPress themes. WordPress Themes by Sadish - Download free WordPress themes, created by Sadish Bala. Xanga - Software and hosting. XML - Helps you discover XML and learn how this new Internet technology can solve real-world problems in information management and electronic commerce. XML.com features a rich mix of information and services for the XML community. The site is designed to serve both people who are already working with XML and those HTML users who want to "graduate" to XML's power and complexity. A core feature of the site is the Annotated XML Specification, created by Tim Bray. XML-RPC - Distributed computing. XML-RPC is a spec and a set of implementations that allow software running on disparate operating systems, running in different environments to make procedure calls over the Internet. XMLNews - Specifications for exchanging news and information using open, Web-based standards. XMLNews has several advantages for news producers and news consumers alike. With a single standard format for all news feeds, XMLNews will make it easier to share news all along the distribution chain, from reporters in the field and international press agencies to end-users such as news portals and corporate intranets. This webpage last updated on Saturday, March 9, 2019 1:13 PM.